We have about a month of school left. I am worn out from a long and stressful year. The weather is getting warmer and sunny (rare during Michigan winters). Kids are getting more restless and active. Everyone knows that we are pretty much down to the end and the pressure is on to make sure that we “cover all of the content” required by the syllabus, district, or curriculum office. Every Friday I am exhausted and ready for the weekend. I too am feeling the pressure of the end of the year, but in a different way. I feel like I am still learning to know my students and I only have limited time to engage them on a deep level. The seniors (which I no longer teach) are thinking about grad parties and college choices. This is my last month of having my students in class daily and getting to know their hopes and dreams. I have limited time to hear their jokes, listen to stories about their plays, music performances, and games. Time is slipping away from me being there to hear about students’ struggles with family issues, friendship problems, or personal dilemmas. I think about the students that I don’t know as well as I would like to because they are quiet or closed off. I think about the girl who has a hard shell around her keeping out anyone from seeing her deep pain. I think about the boy who thinks that no one really understands what his home life is like. So many students with so many dreams, yet also so much personal pain and struggles. I want to finish the year strong. To me that means lots of listening, caring, and connecting. To me that means pushing my students to love themselves and each other. Our last project focuses on poverty through the lens of the Great Depression. I want my students to care about the less fortunate and be empathetic. I will end the year by concentrating on connecting with students personally. I will end the year by speaking encouraging words daily. I will end the year by challenging students to consider the less fortunate. I am tired. I am ready for a break, but my students still need my best. I will end the year with love. I will show students how to love each other. I will leave my students with a message of hope and love for all. This entry was posted in Uncategorized and tagged #miched, caring, love on May 8, 2016 by Michael Kaechele. “Every spare moment in our classrooms should be packed full of engaging, learning opportunities.” from The Edvocate. I replied that I’m ok with students being off task sometimes. You see no one is always “on.” We all get distracted sometimes and we also need brain breaks. This may not have been the point of the post, but I often hear people talk about students like they need to make sure that they are working hard on what they are “supposed to be doing” every second of the day. I think that there are a couple of dangers with this attitude. For one the teacher can become a taskmaster that is always policing the room. The teacher then is seen as an adversary by students, rather than someone to learn with. 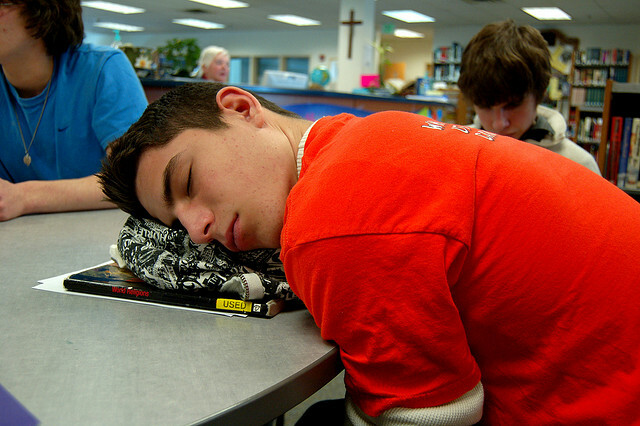 I think this kind of teacher rarely reflects on the types of activities in their class and whether boredom is the cause of the off task behavior. Secondly we miss the opportunities to teach students self management. Rather than worrying about whether students are on task we should focus on teaching students to set deadlines and meet them in regards to their projects and work. Successful students already do this and are viewed as “good” students by many. I wonder how many of our “struggling” students are really just students lacking organizational and time management skills? In the past I have not done enough to seek out the reasons why students are not meeting deadlines. This year I will conference more with students who fall behind and facilitate a conversation to help them figure out how to keep up in class. I will support them in organizational skills as needed. Finally, sometimes it is ok to just have fun in class for no specific reason. As Dean Shareski always says we need more joy in schools. Sometimes that does not look like a learning experience, and that is ok. Humor, joy, and relationships are the building blocks of trust that will allow deeper learning later. Humans were not designed to always be working. We need to remember our students’ humanity. This entry was posted in Uncategorized and tagged #miched, classroom management, joy, off task behavior, self-management on August 29, 2015 by Michael Kaechele.